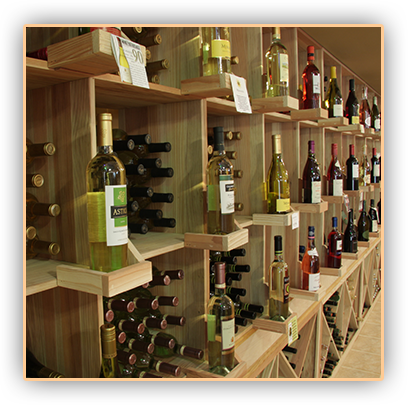 A wine rack is a device that stores and organizes wine bottles and can be built out of a number of different materials. You have wood (being a very common material as it is easily obtainable and workable), metal (which tends to be more unique and is widely used), stainless steel (which we normally see in the kitchen), or wrought iron (which has become famous as a material for ornamental pieces, comes in fluid shapes, and creates real pieces of art). Now the question is, “Which among of these materials are highly used and appreciated by wine enthusiasts and businessmen alike?” Nowadays, many buyers use metal wine racks as pieces of ornaments at home or in commercial establishments and not only as wine storage. 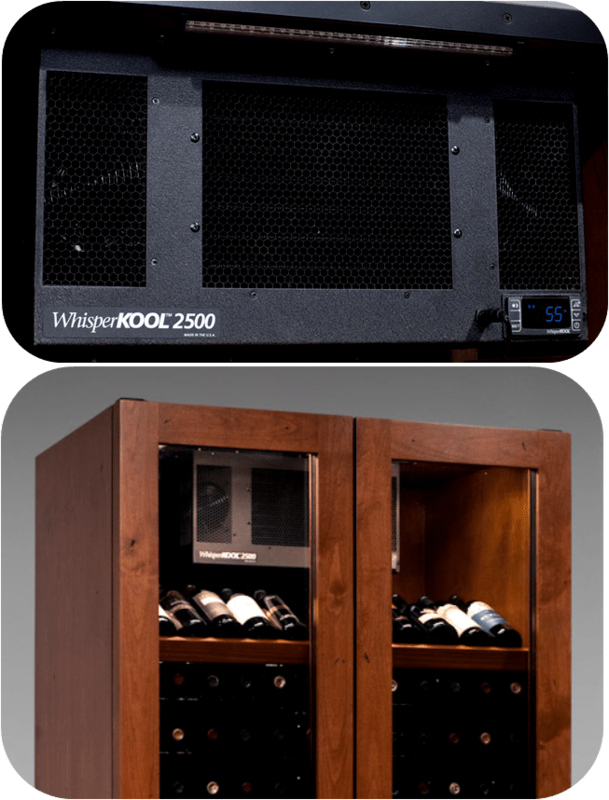 Let’s focus on the fact why metal wine racks are widely used in Chicago custom wine cellar construction and why they are better than any other type of wine rack material. 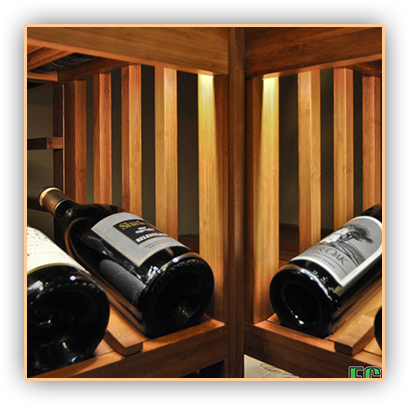 Both wooden and metal wine racks are excellent choices for wine storage and interior décor. However, metal wine racks have a definite advantage above wooden ones because they are designed and built to fit in almost any corner or nook of the house without much effort. 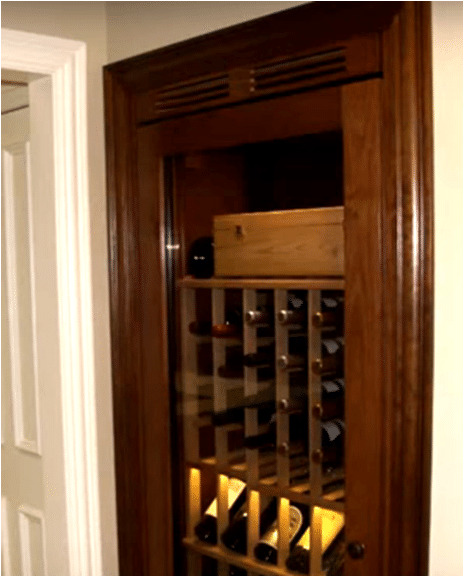 Thus, it is an ideal wine storage solution for collectors with limited space. Also, with metal wine rack’s designs, you can access and read the label of the wine easily. 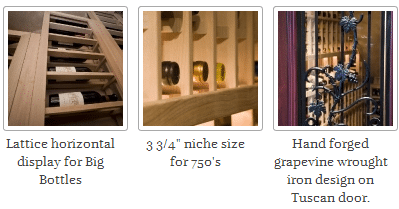 Prices of metal wine cellar racks may be considerably higher than wooden wine storage racks, but they tend to have durability that maintains quality and appearance for longer period of time. Metal wine racks are also resistant to corrosion and staining. 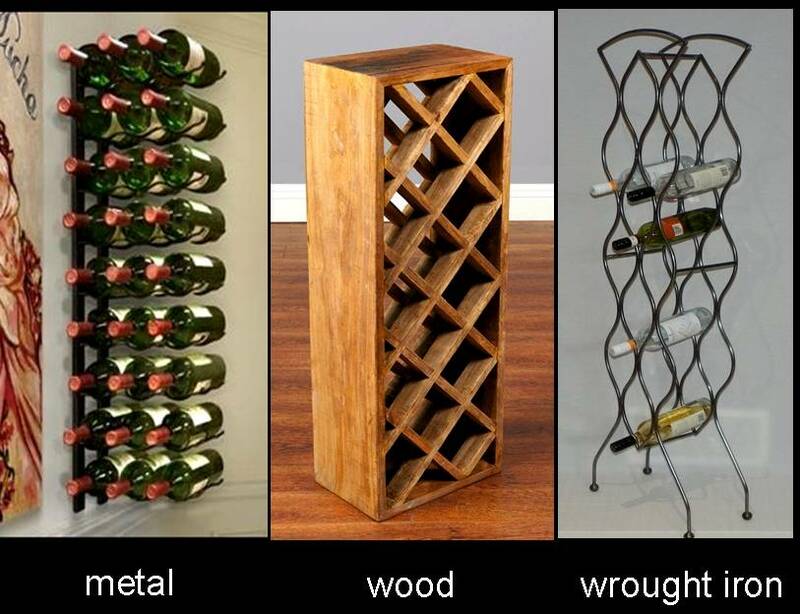 Moreover, there are more metal wine rack styles to choose from compared to ones made from wood. When you buy something out of metal, you know that it is going to be around for a while. Wine connoisseurs can choose various designs and shapes to match with the general appearance of any room. 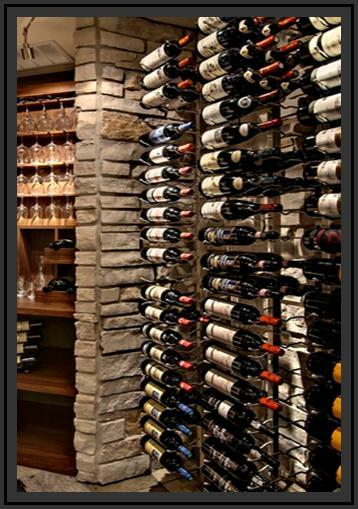 Hence, metal wine racks are a better option for your wine cellar racking. 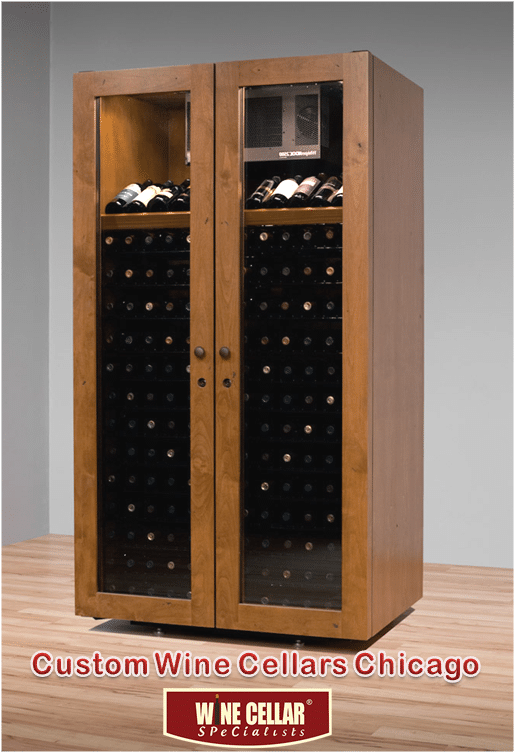 With customization options, you can opt for an exquisite finish and color to match the palette of your wine storage space. It creates a very classic look while maintaining the elegance. Metal wine racks are also easier to clean and give off a distinctly cutting edge, modern day feel. There are various types of metal wine racks, and finding the right one will only cost you a trip to the store or a few minutes browsing online. 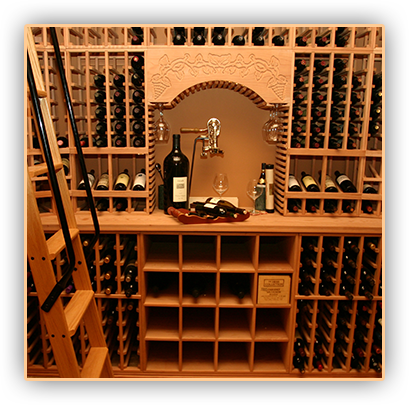 Take a visit to the Wine Cellar Specialists homepage and learn about a wide selection of metal wine racks they offer. They offer high density metal wine rack designs convenient for any residential or business projects where space and budget are factors to consider. 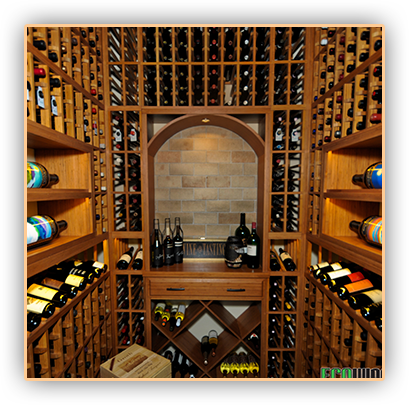 Whether you have a small project in mind or a more adventurous one, Wine Cellar Specialists is always willing to lend a hand. 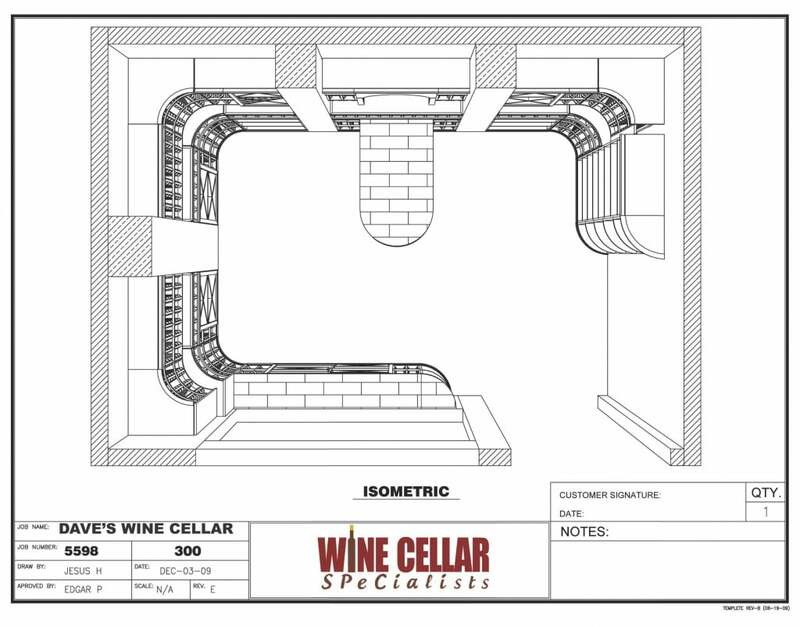 They design and install custom wine cellars to all of North America and Canada. 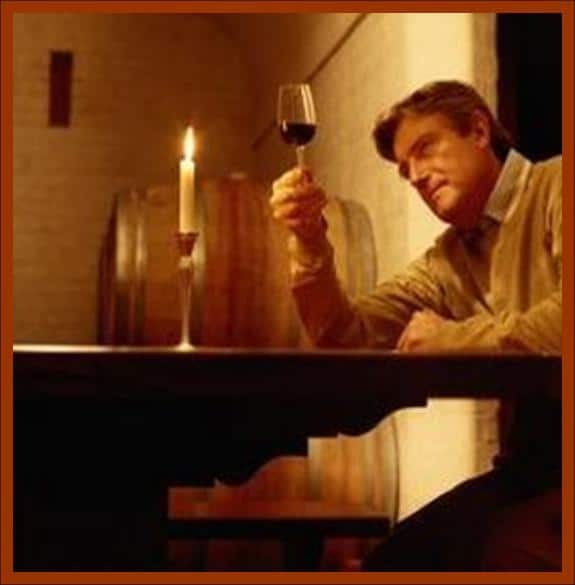 You can reach them at 866-646-7089 or visit their website at http://winecellarspec.com/. 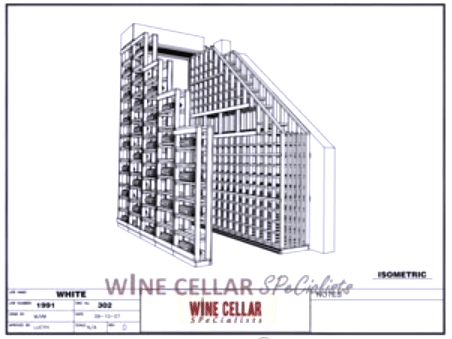 Click here to request a free 3D wine cellar design. The White custom wine cellars Chicago Illinois presents several situations. It was a cellar that is created under a stairway so the ceiling is slanted. The room is also very odd shaped, as you can see. So we needed to design something that worked well. We also wanted to have our cooling unit in this area and blowing down from the ceiling. We are going to take a look at each elevation. Elevation A is right when you come in the door; elevation B, the left wall; C, the back wall; D is the grill cover and box; and E the right wall. 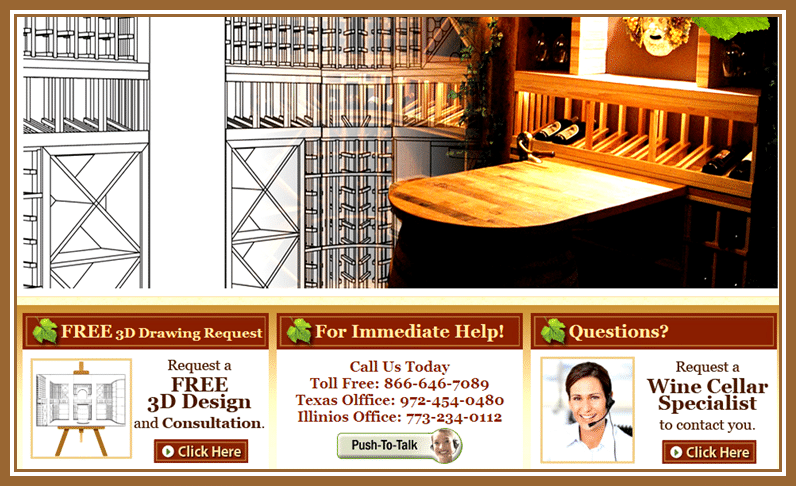 We used a lot of horizontal wooden wine racks in this design. Elevation A is our first horizontal rack. It is 13 1/2 inches deep which means that it will hold three bottles deep in the horizontal rack from floor to ceiling. We move on to elevation B. We have individual bottles with a high reveal display row, we have waterfall wooden wine racks down with the slant of the ceiling and we included some molding along the top edge. Here you can see where the grill cover and box is up above in the center. You can see that these Mahogany wine racks are 13 1/2 inches deep. We do have a 1 1/2 inch toe-kick and base molding. As we go along, elevation C is the very back wall. It is a horizontal rack that is only six inches deep for a single bottle. Elevation D is the grill cover and box with the grill going directly down for the cooling unit, which was an RM 2600 split system. Elevation E is single deep, only six inches deep going down and ‘waterfalling’ with the slanted ceiling again. Elevation F is a triangular shaped quarter round. It is not a rounded piece but a piece with a flat front that segmented the two elevations A and B together. You can see how this all works out. This brings the two walls together. Our horizontal displays are all lattice displays, and I’m going to show you that in the 3D drawings. Here, you can see that they are lattice. There’s your grill cover and box with the air blowing down from the ceiling and you can see these in the 3D as well. Now, I want to show you some photographs. Here is looking in to the wine room. We used a Tuscan wine cellar door. It’s a square door, we used arched glass and in operable hand-forged wrought iron wine cellar door. You can see the Mahogany wine racks in here. We used Mahogany, unfinished Mahogany wood. The grill cover and box are right there blowing down. Here you can see it a little bit closer. You can see that we do have the lattice horizontal displays rows, where it is lattice wood rather than solid. We have the high reveal display row with LED lighting up above. Here you can see the back wall with the horizontal racks displays rows again, another picture of the displays or close up there. This is the wrought iron wine cellar door, the hand-forged wrought iron, and you can see the full door, from the front to the back of the wine cellar. 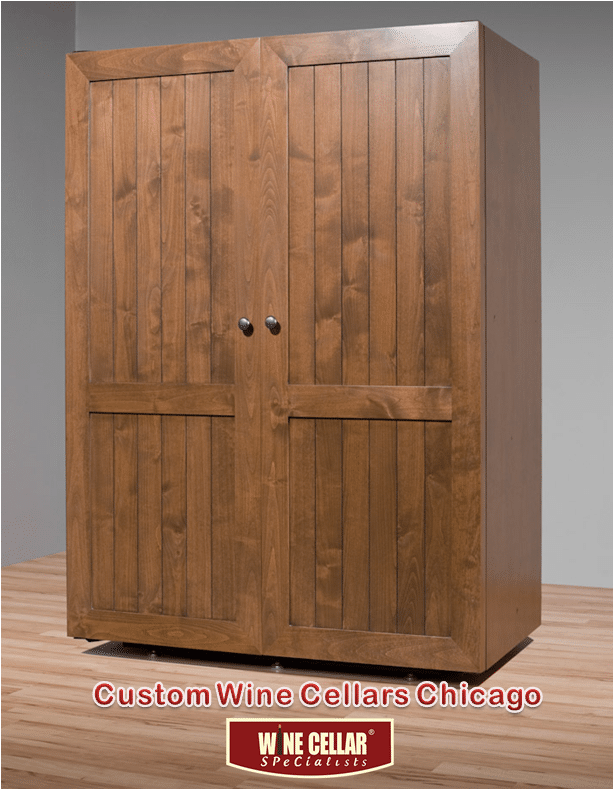 Hope you’ve enjoyed walking through the White custom wine cellars Chicago Illinois. This was actually put together and constructed by AMM construction. Thank you so much! You’re looking at a photograph of Dave’s Custom Wine Cellars Chicago Illinois in a darkened room with the lighting turned on. As you can see in the wine cellar design, there is a wine barrel table top on a peninsula table. We have a high reveal display row with LED ribbon lighting above and a solid arch with a pop light. 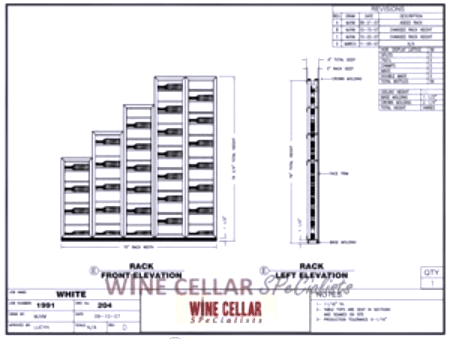 I’d like to take you on a tour of the wine cellar design drawings. 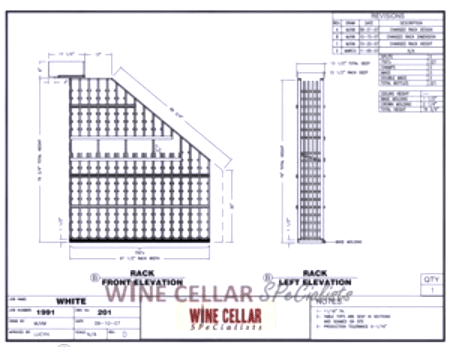 What you’re looking at here is the overhead or plan view of Dave’s Custom Wine Cellars Chicago Illinois. As you can see each elevation is designated by a letter: elevation A, the front wall, elevation B are the three corner walls, elevation C the left, D the back wall and E the right wall. 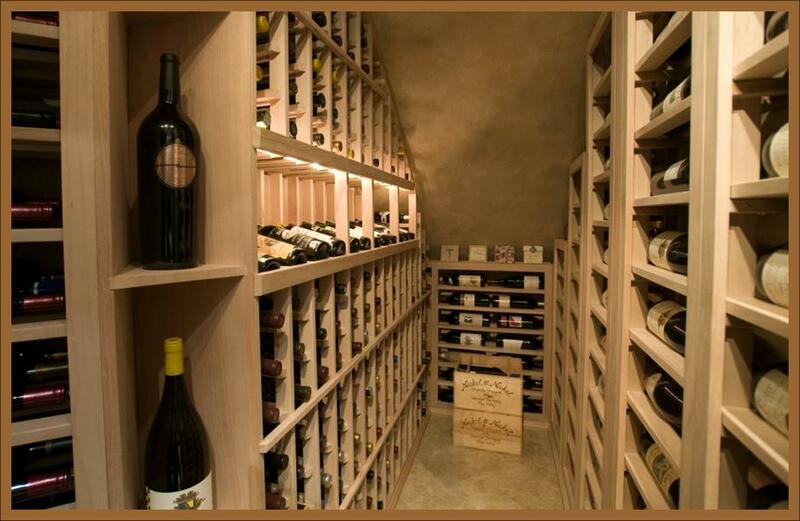 There are a total of 1,064 bottles in this wine cellar. 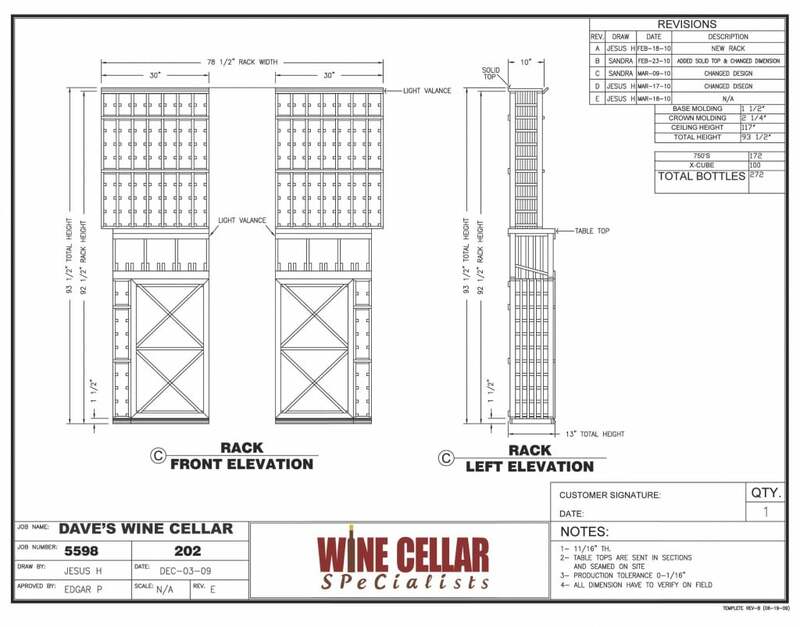 Dave had a little bit of different design to his cellar; he has the bottom racks coming out further than the top custom wine racks with a 3-inch leap. We will go to first of all elevation A, below the window. Here we have champagne size of individual bottles on each side of case storage. 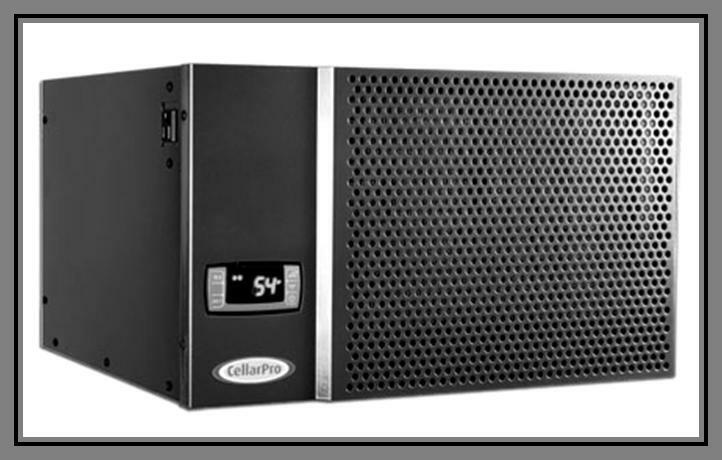 We have individual case storage, a solid case storage in between. There is 1 1/2 inch toe-kick and base molding on the bottom. The table top is a cooperage wine table top. Elevation B are the corners. Again you can see the wider bottom and the narrower top with the three-inch ledge. Elevation C, this area in the center is where they built columns in between these racks. We have solid X-cubes on the bottom with an individual row on each side. The high reveal display row with the light valance to hide this LED ribbon lighting and the individual bottles above. Again you can see they’ve one 10-inch racks on the top and 13-inch custom wine racks on the bottom. All of these custom wine racks Palos Heights Illinois are 92 1/2 inches high with a 2 1/4 inch crown molding going up an inch above the racks. Elevation D is the back wall. Here we have case storage on each side. 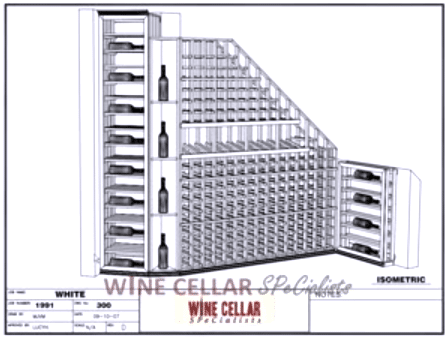 We have solid X-cubes above, individual bottle storage, glass racks, high reveal display row with light valance for the LED ribbon lighting and behind, which is hard-to-see on this drawing. What we used is a wine barrel that Dave had himself, a French wine barrel; we’ve incorporated that into the design and behind the wine barrel there is enough room here. We were able to put case storage back behind as well. Moving on to elevation E, we have more case storage going from floor to ceiling and a quarter round in the end. These are solid case storage and solid quarter round. 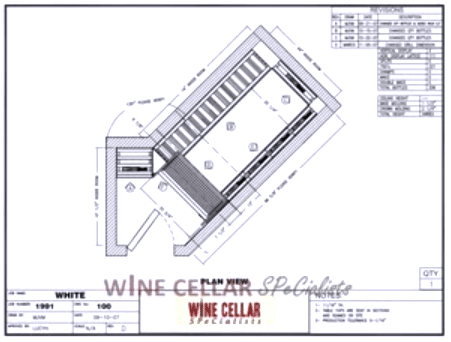 We’re going to the 3D wine cellar design Chicago Illinois drawing now. This is the overhead view. You can see where we did the three-inch leap, where his peninsula table top comes out and the table top right below the window. This is a view from the front looking back, a view from the back to the window and the four walls and the window and the right wall from the back straight back and here is from the doorway looking in to the left. Here you can see the case storage behind the wine barrel. 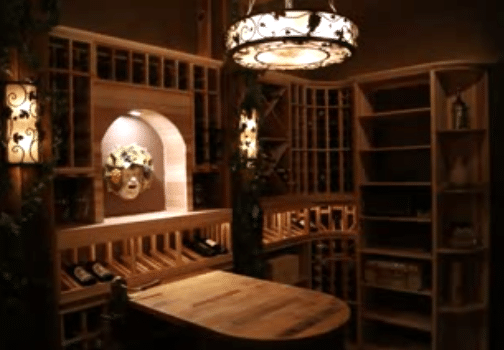 Hope you’ve enjoyed the walkthrough and the tour of Dave’s Wine Cellar Design created by Custom Wine Cellars Chicago Illinois SPecialists.